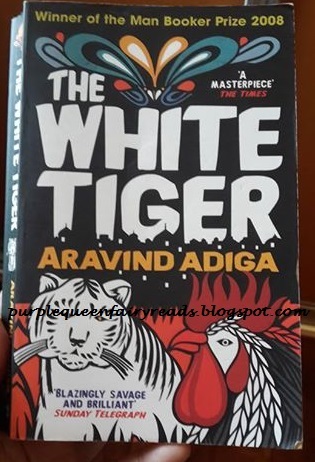 The white tiger of this novel is Balram Halwai, a poor Indian villager whose great ambition leads him to the zenith of Indian business culture, the world of the Bangalore entrepreneur. On the occasion of the president of China’s impending trip to Bangalore, Balram writes a letter to him describing his transformation and his experience as driver and servant to a wealthy Indian family, which he thinks exemplifies the contradictions and complications of Indian society. Hello...it's been quite a while. I also do not know what I have been doing recently as I have not been reading much and have not being doing much of anything lately. Anyway, I just finished a couple of books with The White Tiger being one of them. Am normally apprehensive with any books that won prizes as they tend to be heavy in many ways, and with social messages embedded in the storyline that at times I didn't really enjoy the story as I was too concern over what the moral message would be. In this story, I think the message is quite clear. 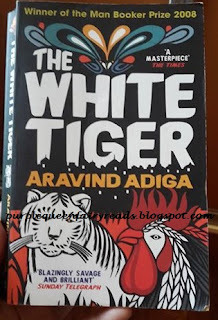 The author wants to challenged his readers into being a White Tiger, a rare species, doing something different, swimming against the current i.e. an entrepreneur in his opinion. Otherwise, you will just become a chicken in a coop, even with situation around you are strangling you, you will would conform and not escape. Like a chicken in a coop, knowing that it would end up in the fate of the chopping board, it makes noise but still doesn't escape. Generally, readers would get it that he is referring primarily to the society in India but I guess it's a metaphor that be applied to almost anything in life. The White Tiger is my 'traffic light book'...i.e. I read it in the car when caught in traffic It's only the last quarter of the book that I read it at a go as surprising, it was pretty interesting and I wanted to see how the ending would be. In this respect, it actually doesn't really matters.